Every week, a lucky Bryant Park Corporation employee gets to explore The Holiday Shops at Bryant Park to give you a glimpse at what this year’s vendors have to offer. The range of products available right now at The Holiday Shops is more diverse than any of the six seasons past. To outfit a stylish newborn or toddler, head straight to Madison Parker on the 40th Street side of the park, near the Southwest Porch. 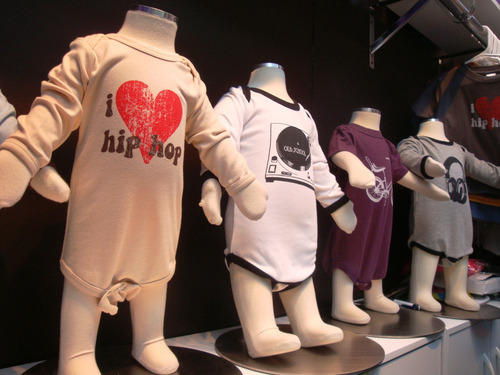 The booth’s collection of pint-sized onesies, long and short sleeved tees, and hooded sweatshirts are printed with designs inspired by 1980’s nostalgia. 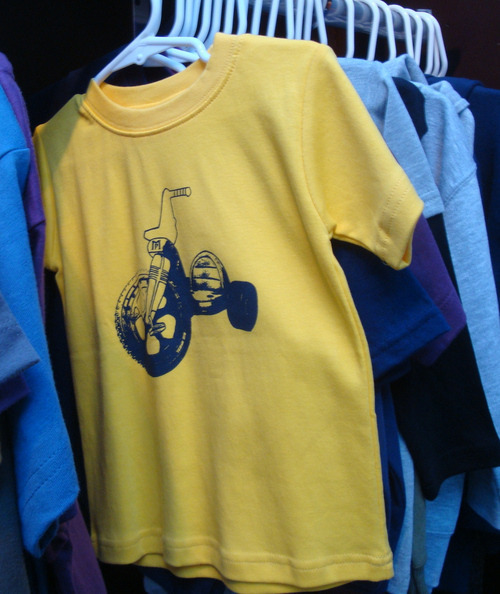 Priced from $20 to $30, a large mix of colors and prints (including big wheels, record players, and old school boom boxes) come in sizes for newborns, 6 year olds, and all kids in between. A few steps away, you’ll find Eda & Betty Heirloom Couture. Available at Nordstrom throughout the year, the handmade necklaces and bracelets are offered at The Holiday Shops for 70% less than in-store prices ($49 to $189 at Bryant Park, as opposed to $189 to $520 in the department store!). 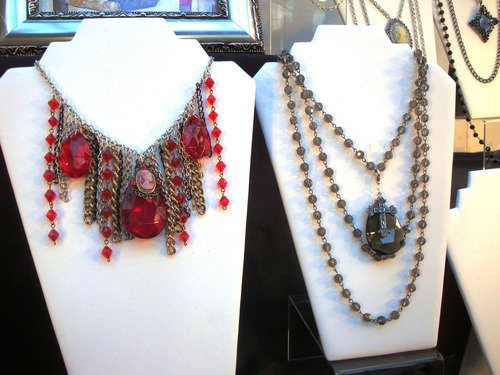 Each piece of jewelry is handmade by designer Nikki Massarelli, and many feature vintage-looking cameos, crystals re-purposed from real chandeliers, and sparkly charms. 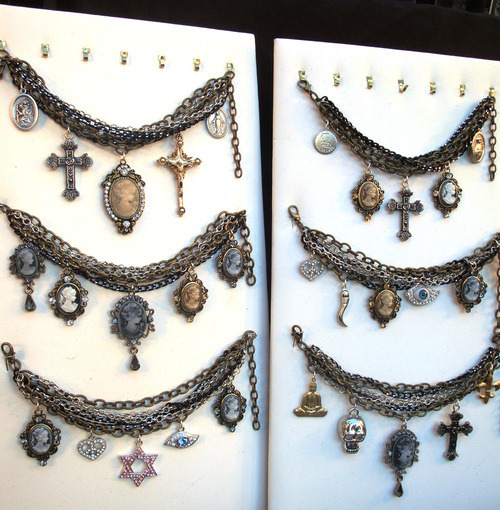 If you want to mix it up and create your own statement piece, just ask the salesgirls who will do their best to make sure you get what you want. 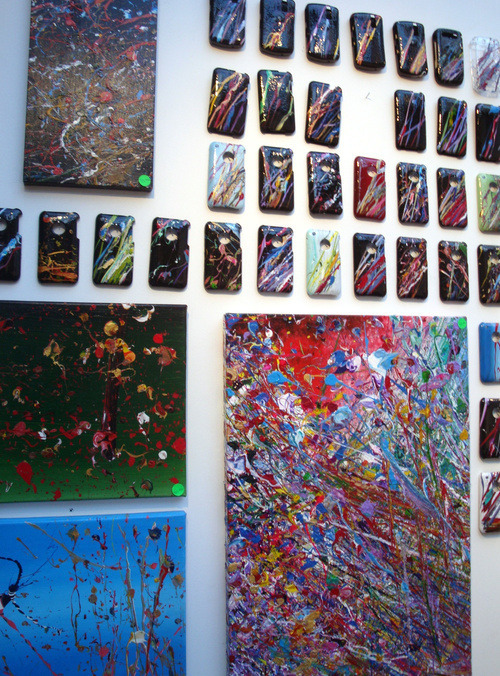 At Protected by Art, located on the Fountain Terrace near Sixth Avenue, you can find handpainted iPhone, iTouch, and Blackberry covers, as well as traditional flat canvases. Using the kiosk’s rear wall as his easel, Carter, the artist, strategically splatters paint over the cases and canvases to create one of a kind pieces that are textured and colorful (visit their website to watch a video of Carter in action). 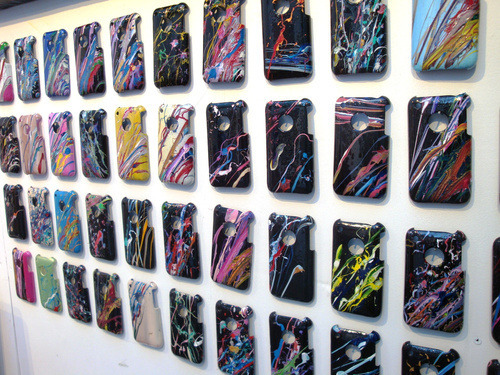 Cases on the wall are $30. Choose your own colors or bring your own hard plastic electronics cover to be customized for $40. You can also wear these inside the sweatshirt.